I look forward to this show every year because it sparks my creative juices to see what's new and happening in the design industry. With all the information coming at us so quickly and all the time, it's so nice to be able to take some time to appreciate innovation in design ... and spend a day looking at pretty things too! 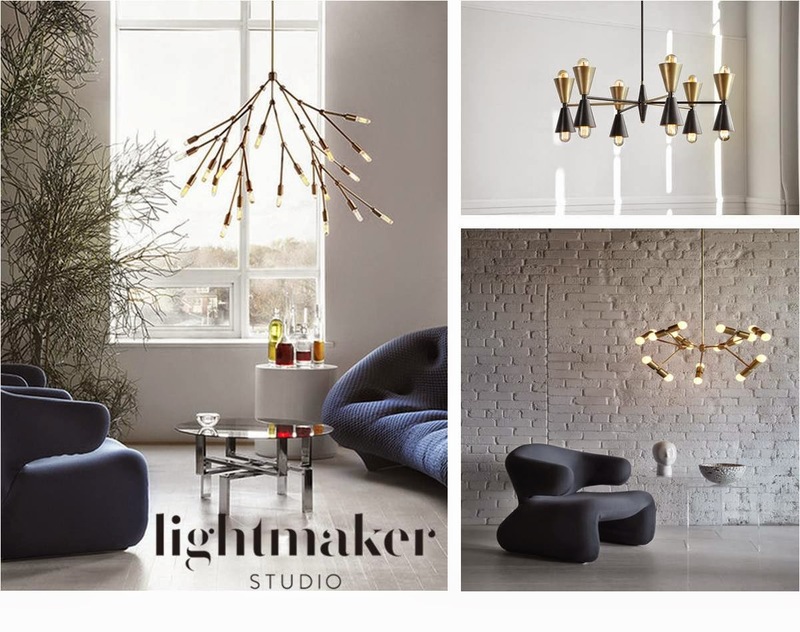 A new to me lighting shop called Lightmaker Studio had some very chic handcrafted fixtures inspired by modern organic shapes and mid-century design. 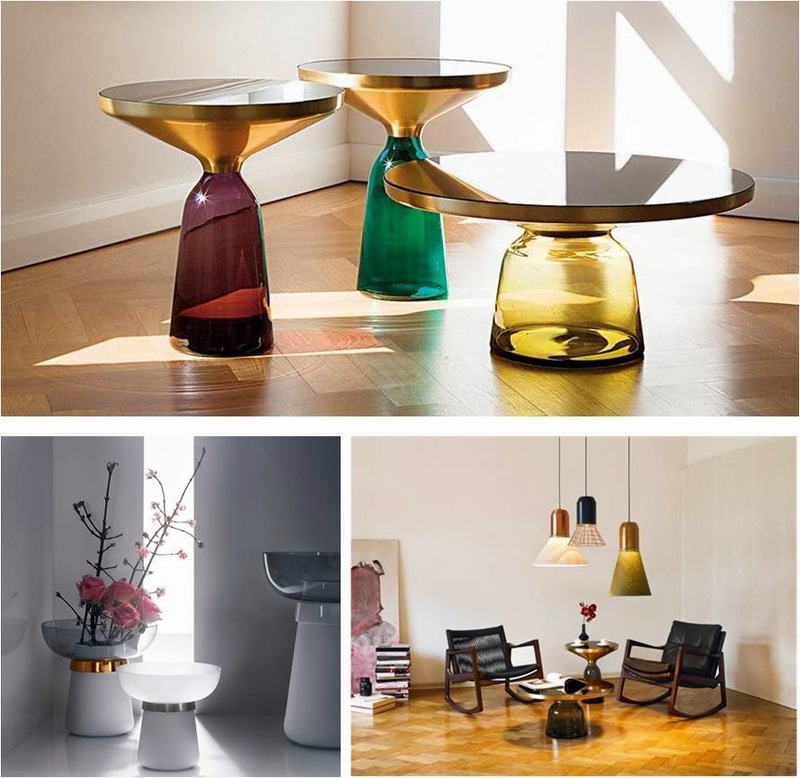 Featuring lots of solid brass and blown glass with matte black and innovative contemporary shapes. These pieces are truly works of art. 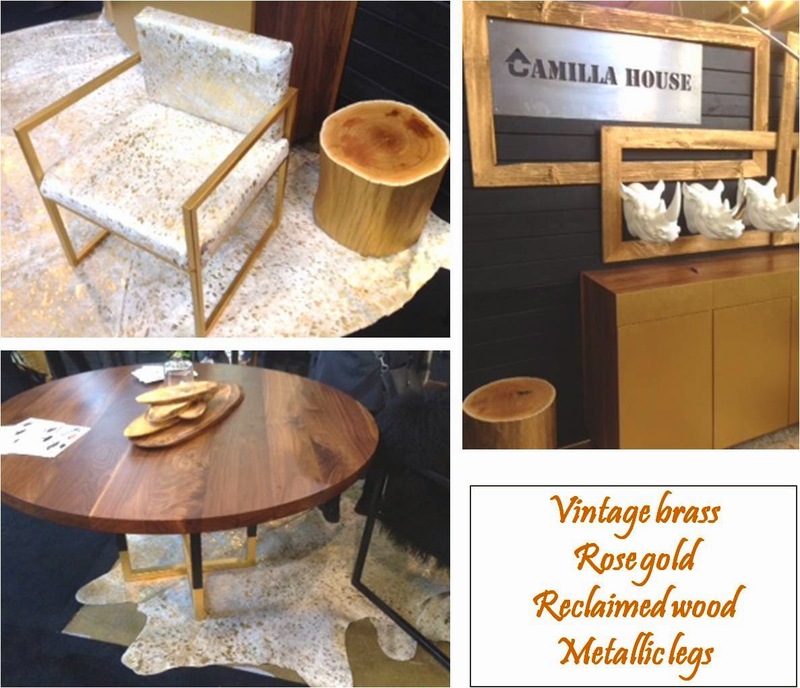 A favourite of designers and merchandisers for innovative and funky furnishings is Camilla House. Every year I can count on finding new looks in furniture and accessories that are on trend and appeal to the modern and stylish looks my clients are after. 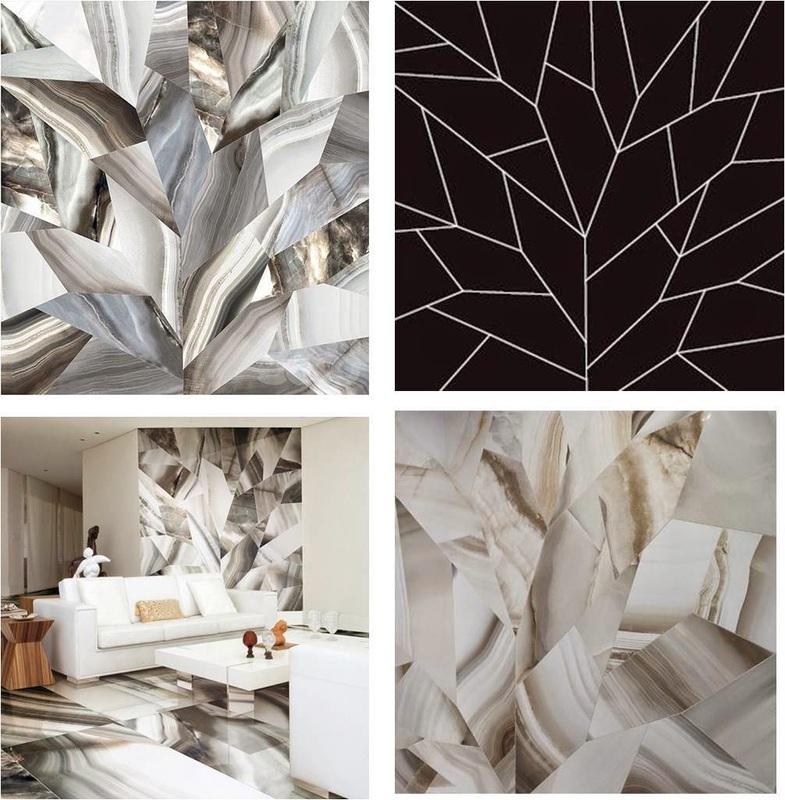 At Olympia Tile's booth was a showstopper Alabastri by Rex - large tiles of porcelain stoneware custom cut to intricate patterns to create works of art for floors and feature walls. I would love to use this product to create a fabulous room for a client. Another favourite supplier is Mettro Tiles that was featuring a new product line called Hive Tiles by Realstone Systems. Made of recycled, engineered Marble and Travertine stone to recreate the look of barnwood, driftwood, chiseled and etched stone that are fit together in various configurations of convex and concave hexagon patterns. The top picture is a 3D-hex pattern on porcelain tile. Not only has tile come a long way, but the options for wood are endless as well. Gemss Enriched Wood Surfaces from Natural Veneers of India was showcasing their imaginative use of wood. Mosaics with inset acrylic pieces for backlit applications (above top pic) were beautiful and modern. 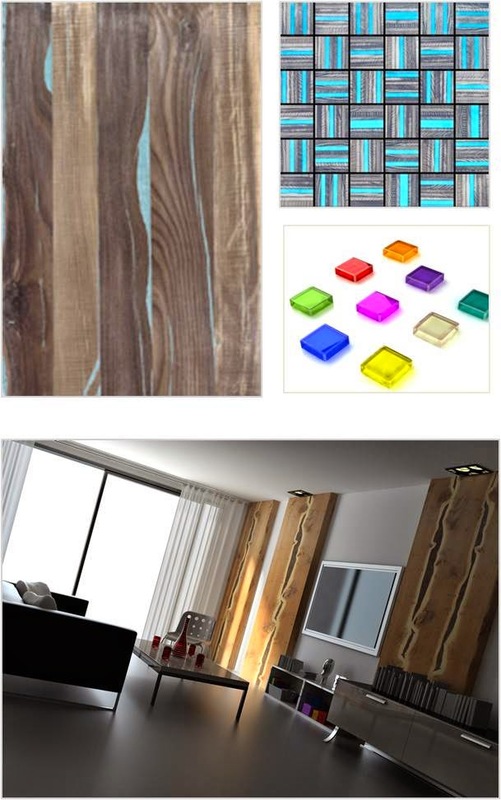 Large slabs of exotic woods (above bottom pic) create art walls with texture and warmth. 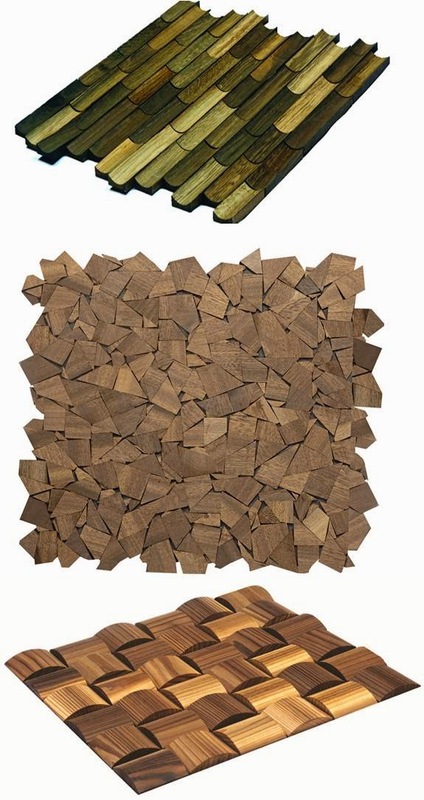 Wood-look mosaics come in all shapes and configurations. 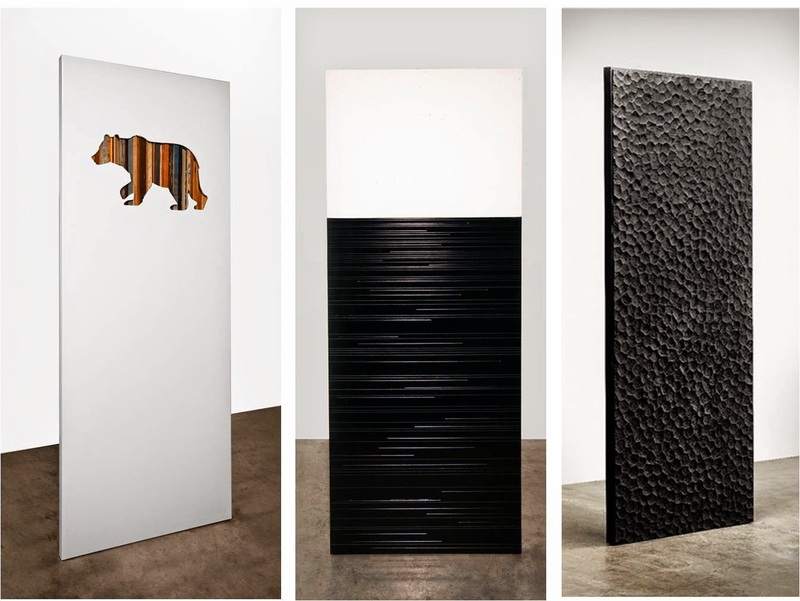 Imagine any of these on a feature wall behind a bed, in a wine room or accent wall in a large room. Who would have thought that doors could be so interesting? Hand carved by artisans and designed with unique materials, these doors from ScanWest Design are designed to be eye-catching works of art instead of typical interior doors that blend into the decor. The standard in kitchen and bathroom sinks has gone to new levels too! 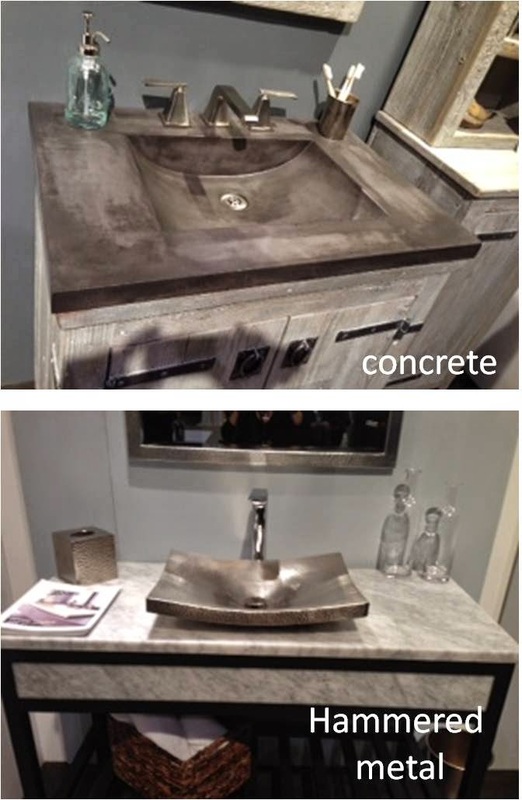 hammered metal, concrete, integrated stone and even prehistoric wood! 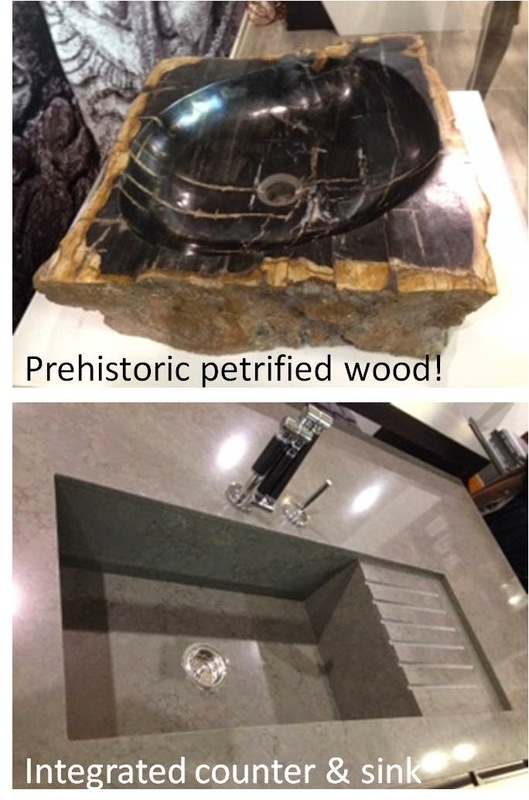 Yes, prehistoric petrified wood found in the depths of the jungles of Indonesia. It's a fascinating story I heard directly from the Owner's while at the show. Check out their website for more details and beautiful pieces. I love it when furniture is not only functional, but also serves as a work of art. Which is certainly the case with the work of German designer Sebastian Herkner. Case in point the stunning award winning Bell Table (top) created for ClassiCon. Among other faves are porcelain vases and pendant lights with shades made of copper, steel and textiles - all of which add artisan quality to any room. Finally, I couldn't leave out the annual Ikea booth. Always high impact and a show favourite. This year with the launch of the new Ikea kitchen series Sektion, they featured 3 kitchens designed by House & Home and Style at Home magazines as well as their own ultra-modern design (too yellow for my liking). Both magazine's booths were so packed that I couldn't get great pictures, so I'm using the ones from Ikea's Pinterest board. Ikea kitchen design by Style at Home. This kitchen feels very French country chic, love the floors, the large mirrored wall (left) and the touches of aged brass and crystal chandeliers. Very elegant while featuring tons of practical storage and display solutions. 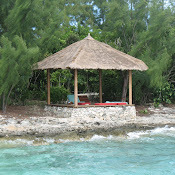 The bicycle hanging above the island was a contest prize. Ikea kitchen design by House and Home. This one has a sophisticated cottage vibe. I love the blue walls and the vintage looking tiles. The brass sconces and pendants add modern flair. While the concrete slab farmhouse island alongside the quartz topped cabinets on the other end of the island are unexpected but so charming and practical for a busy family kitchen. A large pantry behind glass doors on the other end (not seen) was lined with pretty wallpaper adding a punch of pretty to an otherwise practical space. I left the show a bit tired and hungry but full of inspiration and new ideas for upcoming projects. Ready to create some amazing spaces this year ... who's with me? Establishing a single definition to explain a great interior design is not possible as interior designing is not a skill; but in fact an art. It’s an art that not only speaks differently but is also implemented and perceived uniquely by everyone. For a few combinations of paint, textures and fabrics in different ways can create a great design but for a few; simple, clean straight lines blended with the modern furniture are enough to create a statement.